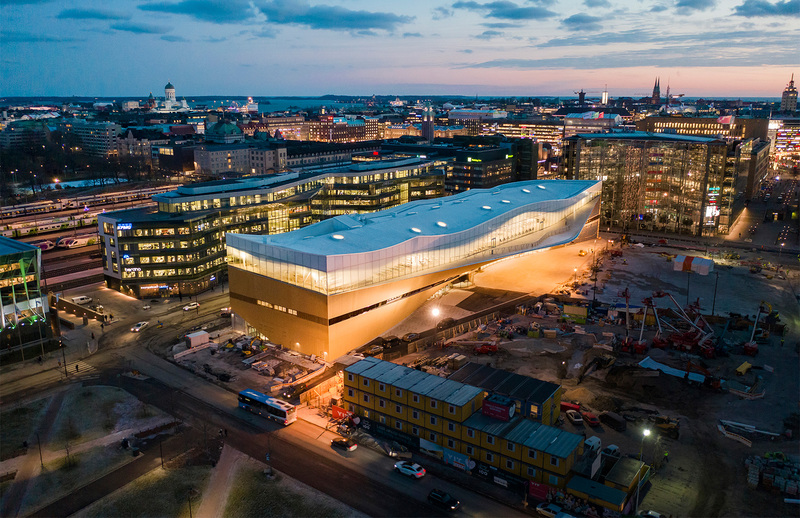 Home to a theatre, recording studios and a maker space, Helsinki’s new public library goes far beyond books – although there are still thousands of them under its wavy roof. ALA Architects designed the building, which sits opposite the Finnish Parliament and around the corner from the Kiasma Museum of Contemporary Art. A third of the library is dedicated to books, but the rest of the space is intended as a gathering point for Helsinki locals. There’s room for exhibitions, 3D printing workshops, pop-up events and a restaurant and cafe, and Oodi’s wraparound windows and balcony offer views across the city. However, lovers of literature aren’t left out, with a minimalist reading room, named ‘book heaven’, located on the top floor.